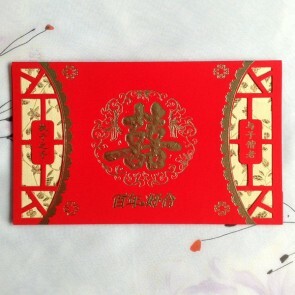 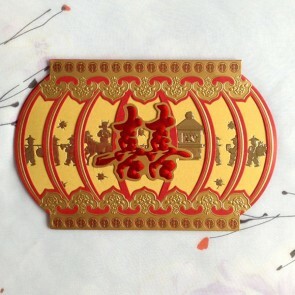 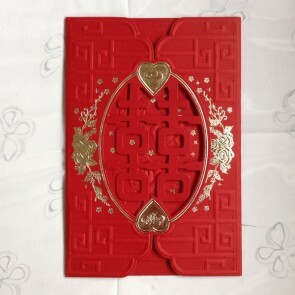 Chinese wedding invitations are usually folded with traditional designs. 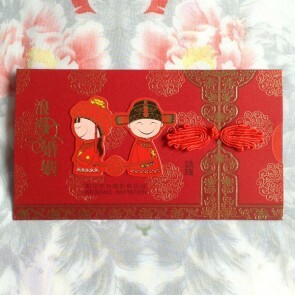 The Chinese symbol for "Double Happiness" is almost always used on Chinese style wedding invites. 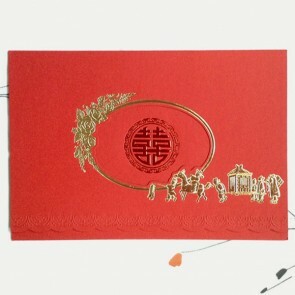 Dragon and Phoenix, flowers, Chinese lanterns are also very popular.